Joe D. Schofield, 70, of Marietta, Ohio, passed away at home, Wednesday, August 8, 2018, surrounded by his loving family. He was born on October 15, 1947 in Liberty Township, Germantown. He was a 1965 graduate of Salem Liberty High School, the last class to graduate before the school was consolidated. Joe was a member of the IBEW Local 972 in Marietta as an electrician. He had been a cub master and scout master for the Boy Scouts of America and had helped boys in the little league baseball program. He was a Christian and a member of the Church of Christ Winding Road in Parkersburg, WV. Joe enjoyed hunting and fishing, especially bow hunting. 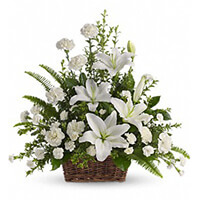 He loved and appreciated his loving wife, Mary, his children, their spouses and his grandchildren. Besides being survived by his wife, Mary, he was survived by his son J. Dale (Suzy) Schofield, Jr. and their children, Scott, Rachel and Kristin, his son, Jason (Sadonna) Schofield and their children, Collin, Dylan, Kendra and Jayla, and his daughter, Jill (Randy) Treadway and their children, Josylin (fiancé, Dustin Cunningham) and Gage, and many nieces and nephews. Also surviving are his sisters, Betty Misner, and Mary (Richard) Burcher, and sister in law, Edna Schofield. Preceding his death are his parents, Leonard and Mildred Schofield, brothers, Donald, Jack (Ramona) and Guy Schofield and brother in law, Rudy Misner. Services will be held at 11:00 a.m. on Saturday, August 11, 2018, at the Marietta Chapel of Cawley & Peoples Funeral Home with one of Joe's best friends, Minister Keith Malone officiating. Burial will follow in Beverly Cemetery. The family will greet friends on Friday from 2 to 4 and 6 to 8 p.m. The Schofield family would like to thank their fellow Christians, friends, neighbors, Dr. Shinoj Pattali Jayavalsan, Dr. Kelli Cawley, Dr. Holly Freed, Dr. Srini Vasan, Strecker Cancer Center, MMH staff, Marietta Home Health and Hospice and our precious family. In lieu of flowers, donations may be made to Strecker Cancer Center, L-A Fire & Rescue, Salem Twp. VFD or Reno Fire Department. 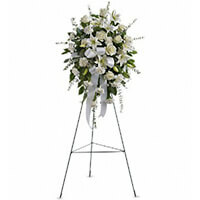 To send flowers to the family of Joe Dale Schofield, please visit our Heartfelt Sympathies Store. Dale, may God bless you at this difficult time. My thoughts and prayers are with you and your family. So very sorry to read about Joe. My condolences to family and friends. Our hearts and prayers are with you. - the Armstrong’s Peace be with you.